I knew I wanted to make my daughter's "big girl" room bright and cheerful to match her personality. I saw several ideas on Pinterest that inspired me, but I mainly just used the bedding from Target as my palette and went from there. The room was already painted the tiffany blue color (which I loved), so I left the walls just as they were. Love the chair and headboard. I plan to make a headboard like that for my daughter when she is older. Is that a toddler chair? could you tell me what the name was? thanks! Love the paint color!!! Its so soft. Would you happen to have the formula written on the can that you can pass along? This is the CUTEST room ever! Love it so much! So Cute!!! Brynn is a very lucky little girl. Room looks great – love the fact it is so coloful. Maybe my infpiratin when I do Gabi’ s big girl room! This is just gorgeous, Jenna! I just adore the room Jenna! This room is absolutely gorgeous, Jenna! Hi! Where did the lovely round frame and cork board come from? They are both from Hobby Lobby. Hope that helps! I love teh colors, similar to my baby’s room color. Saw that bedding at target, too. I also love the frames, including that one around the cork board. You said you painted some. What type of paint did you use and did you prime first? Spray paint, acrylic? Such a beautiful room! I love the color scheme! Great job, mama! Do the frames from cut it out frames have glass? Great room! Nope, no glass. I think read on their website that just stopped providing glass for their frames. Yes, it is only the headboard. We just used it with a standard bed frame that screws to the headboard. how did you do the alphabet? I just created an 8×10 file on Powerpoint and typed the alphabet. Changed up the colors and fonts, and that was it! I was wondering if you could help with the corkboard and the fabric bird frames? I can’t see them on Hobby Lobby. Were they always frames? Both frames were purchased in store at Hobby Lobby at the end of March. I’m not sure if they still have them or not. Sorry, that probably doesn’t help much. Where did the window covering in the window arch come from? I have a large half moon window in my little girl’s room that needs something exactly like that. This is my absolute favorite room I have seen here! You did a fabulous job! I would seriously copy every little detail, if i could. :) So so cute! Where did you get the bed from? I have 2 girls who are going to toddler bed but they still need rails on both sides. I’m in the same situation, i’m just going to buy two bed rails. this is so beautiful! could you tell me where did you get the word love and the letter b? Love the wall! Did the blue frame come with the cork board in it or did you add it? I’ve only found the open back frame like that at hobby lobby. Love this idea! Where did you get the “love” letters from? Love this room! So sad that bedding seems to be sold out from Target. I can’t find anything else I like as much! How did you do the bookshelves? Pingback: Girly-Girl Room | LimeTreeCo. I really love how you did mixed the colors and frames on the wall. I wish they would show something similar for a boy’s room. I want to do the ABC’s can you tell me what fonts you used? also, where did you get the round frame with the bird in it? is the cork board a 5×7? 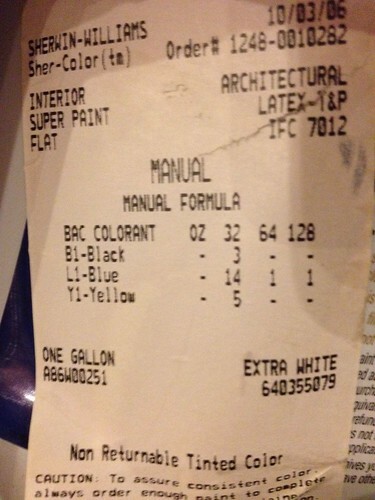 Hi can I get the wall colour in the uk made up from your formula ? Very nice picture :))) I Love it !! Can you Tell me where you get the bed linen ? Where can I find that bedding? I LOVE THIS!!!! Where did you get that bedding??? I love it!!! What kind of paint did you use to paint all the frames? And what brand? I love this! So beautiful. I’m totally using this a second my inspiration for my daughters room!!! COlor and everything!! She is 5 in two weeks so her room needs to be more big girl! But I already have similar stuff hanging in her nursery, like glass-less white frames hung and I can just paint them, and she already had the rain guttter book shelfs! But now I have a vision of wall decor!! Thanks so much!